I was seduced this week by a couple of bright, dry days into sanding the deck in preparation for refinishing it. Ha. It's pouring down (again). Perhaps I'll try again next month. But that does give us time for some words! The new-to-me word this week is haptic. It's an adjective that pertains to the sense of touch and perception of motion, and has had this meaning since the 1860s. The word took on a slightly more specialist sense with the invention of touch interfaces for computers. 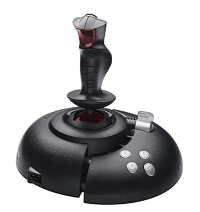 This included things like "force feedback" game controllers. However, haptic feedback was not just for entertainment. A downside of fly-by-wire systems—that is, systems controlled digitally rather than directly—is that they don't provide the direct feedback that mechanical systems do. Thus many digital systems added haptic feedback to simulate what an operator might feel via a more direct control mechanism. Today, of course, anyone with a cellphone knows all about haptic interfaces. Ok, let's turn to word origins. Today's term is one that everyone knows: karaoke. That's Japanese, obviously (? ), but it has a fun multi-language origin that I only recently learned. Just to review, karaoke is a kind of entertainment in which people sing along to recorded accompaniment that is missing a vocal track. Which is why the origin is interesting. In Japanese, kara means "empty." The oke part is the fun part—it's a shortening of okesutora, a term that, if you sound it out, might suggest its meaning and origin—it's a Japanese rendering of the word orchestra. Thus karaoke is "empty orchestra." Or more like "empty orch." This much I actually knew. (Aren't I special.) 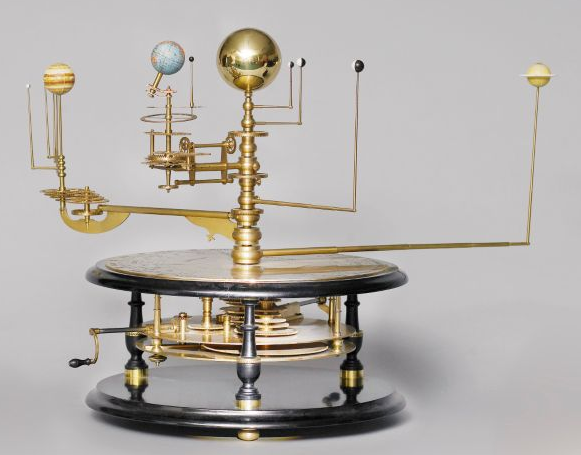 What I learned from Edward is that orrery is an eponym—it's named for Charles Boyle, fourth Earl of Orrery, for whom an orrery (tho not the first one) was built around 1700. Thus continuing a tradition in which an invention is named for someone who had nothing to do with creating it (see also: praline). Thus the privileges of patronage, I suppose. No relation (AFAIK) to Robert Boyle of Boyle's Law.